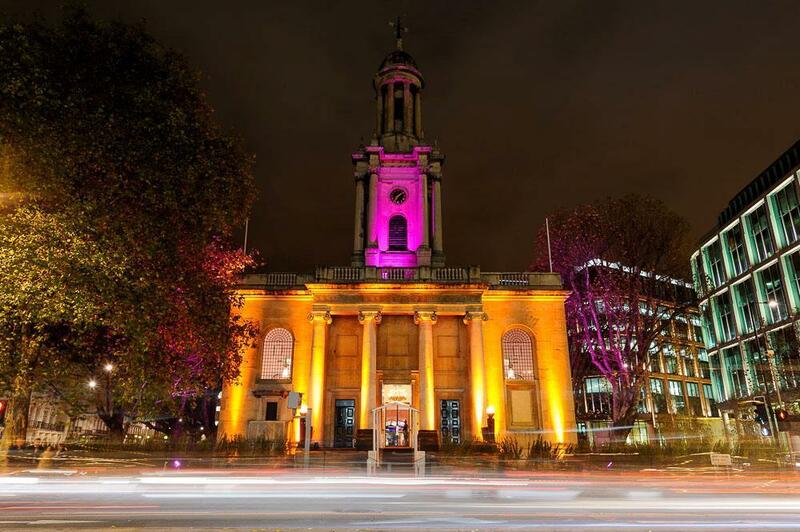 One Events is one of London's leading events companies and we are delighted to have two of their venues on the site. I wanted to write a little bit about them, and the company, as they are certainly extremely special. This celebrity couple thought so as was recently featured in Hello magazine, who were covering the wedding of Emmerdale's Kevin Fletcher and his singer wife Elizabeth Marsland. And this is it dressed for a another recent wedding at Christmas - isn't just absolutely beautiful. Go to their listing on the site for more incredible images, and details. One Belgravia is the smallest of One Events venues and added to their venue portfolio only a year ago. It Comprises of two floors, the Oak room and The Grand Gallery, joined together by a majestic marble staircase (perfect for photo opportunities). This beautiful contemporary space is able to accommodate dinners for 200 and standing receptions for 400. The team at One Weddings offer a personal approach and expert knowledge when it comes to planning your wedding at One Belgravia or One Marylebone, whether you’re looking for venue hire or a fully bespoke service, we can help you ensure everything is perfect.